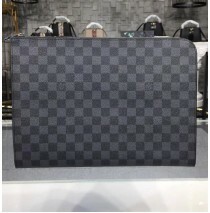 If you like multi-purpose handbags, then you’ll love this Louis Vuitton Damier Graphite Pochette Jour PM. You can basically carry it in your hand, or you can slip it inside a larger bag. This gorgeous Louis Vuitton piece is as elegant as a bag can be. You can easily take it with you when you’re out running errands, and just the same, it’s perfect to take on special occasions. To put it simply, this bag compliments any outfit perfectly. Picture yourself going out with your friends to a lavish party, wearing your favorite chic outfit. 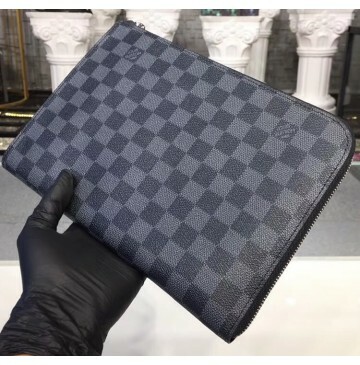 Add some leather gloves and this amazing Louis Vuitton Pochette Jour bag. You’ll look classy and chic, and you may even attract some jealous stares. This bag is full of surprises. At first glance, it may seem small, and unable to accommodate all your accessories. However, once you take a look inside, you’ll see that looks can be quite deceiving! 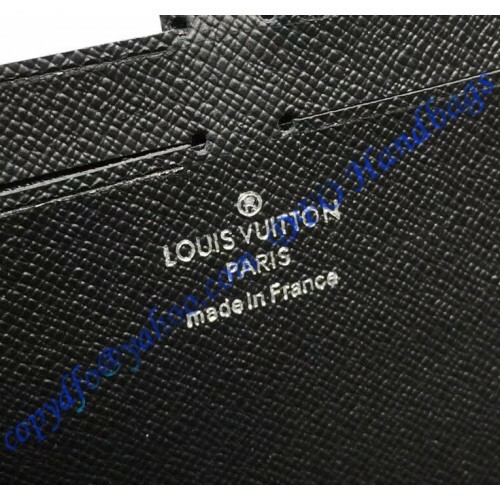 The Pochette Jour has a wide zipped opening and a hidden gusset that further increases its capacity. 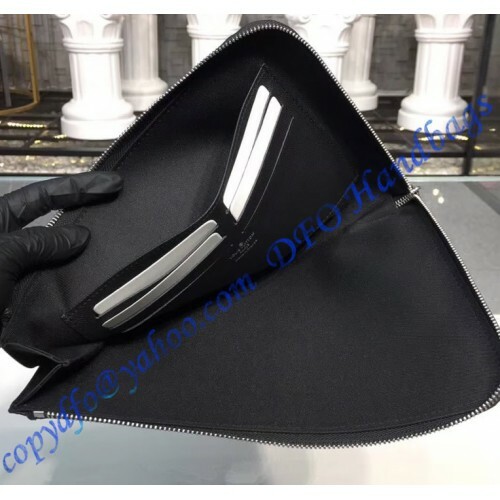 What’s more, it has six CC slots and a flat inner pocket. You can easily fit your iPad Mini inside, along with some other necessities. Overall, if you’d like to own a modern, stylish bag that you can take anywhere with you, then the Louis Vuitton Pochette Jour is perfect for you! 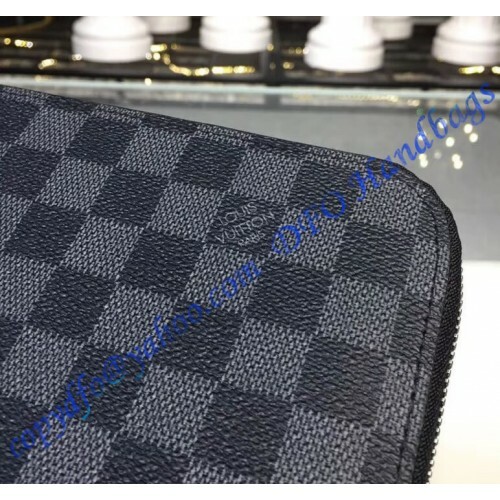 The Louis Vuitton Damier Graphite Pochette Jour PM is 27cm wide (10.6in), 19cm long (7.5in), and 2cm deep (0.8in). 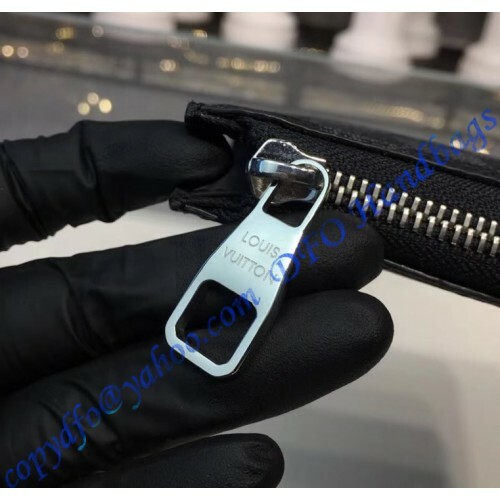 It has an L-zip closure that helps secure all your belongings inside and beautiful silver-colored metal hardware. 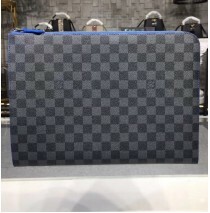 Moreover, it has a textile lining, and a stunning Damier Graphite coated canvas that adds a certain charm to it. 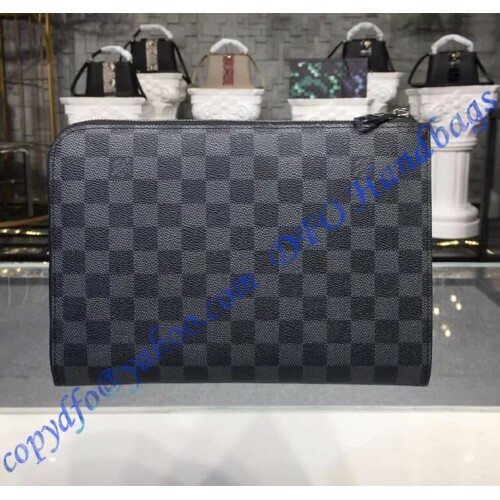 If you’d like to purchase the Louis Vuitton Damier Graphite Pochette Jour PM, you can get it here for $163.00.